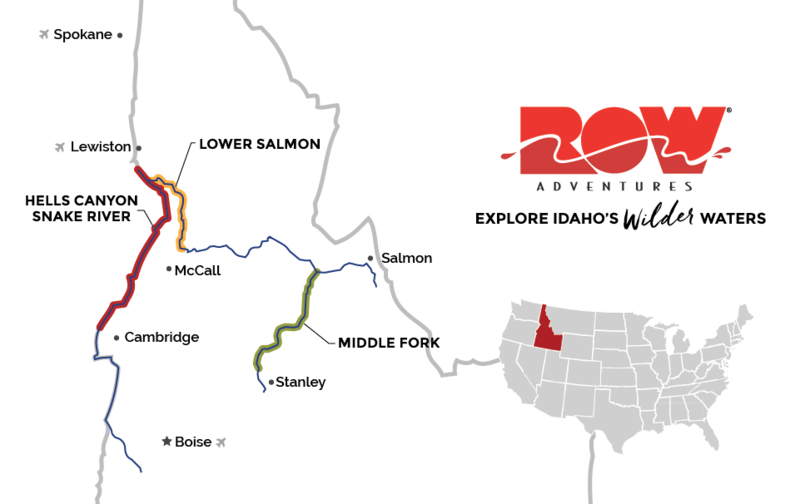 No matter which Idaho rafting trip you choose, ROW Adventures offers you a journey that goes beyond the water. While you spend plenty of days riding rapids, you also experience some of the country’s best wilderness, witness wildlife like black bear and bighorn sheep, soak in secluded natural hot springs and wade through history with Native American petroglyphs and pioneer homesteads off the beaten path. You’ll also enjoy staying in comfortable camps under the stars, indulging in delicious camp cooking and relaxing with other activities such as fishing. When looking for an Idaho rafting trip why chose another outfitter other than the one who does it the most? The Salmon and Snake are the most known rivers, but for over four decades we have combined our experience and expertise and have developed river trips all over Idaho that are unmatched in our industry. We offer a wide variety of trips ranging from first-timers to veteran paddlers. The Middle Fork Salmon River is an exciting ride and often on people's bucket list because there is at least 1 rapid per mile for 100 miles! Meanwhile, the Snake River in Hells Canyon is America's deepest river gorge and one of the country’s most historic rivers. There are other rivers in Idaho like the Jarbridge offering narrow and fast-moving whitewater sure to make you catch your breath or try the family-friendly, white-sand wonderland of the Lower Salmon River. Bottom line, from Class II Rapids to Class IV Rapids, Idaho is the mecca of rafting vacations in North America. In addition, our guides are the best at their craft. They not only expertly maneuver guests down the river, but offer an interpretation experience so you can engulf yourself in the surroundings and take in a truly unique rafting journey. Our ROW Fleet consists of the well-maintained rafts, kayaks, and canoes with your comfort in mind. All gear and guides are provided making your trip all-inclusive...all we need is your enthusiastic spirit! Best Idaho Rafting Trips to Consider! Middle Fork of the Salmon - 5 to 6 days. The most famous whitewater rafting trip in Idaho and America’s premier alpine wilderness rafting expedition, the Middle Fork Salmon drops some 3000 feet over 100 miles. Incredible rapids, spin and fly fishing, hot springs, hiking trails, waterfalls, and spectacular Rocky Mountain scenery. Salmon River Rafting - 4 or 5 days. Officially the "Lower Salmon", this river also plays host to ROW's famous family focused trip. It's a land of warm water, hot sun and fun, intermediate rapids. Camp on huge white sand beaches, hike to see ancient pictographs, cliff jump, and share the best in family river rafting under a big Western sky. 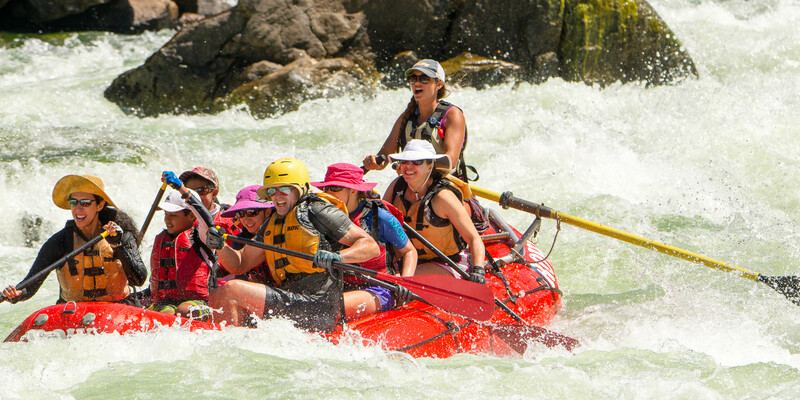 Snake River Rafting in Hells Canyon - 3 to 6 days. Forming the border between Idaho and Oregon, this historic river takes you through some of the biggest rapids in the USA. Flowing through America’s deepest river gorge, the Snake River has exciting whitewater, majestic scenery, great hiking trails, wildlife viewing and superb fishing.